'Tis the season, right? Favorite Christmas movie, no hesitation, Christmas Vacation. 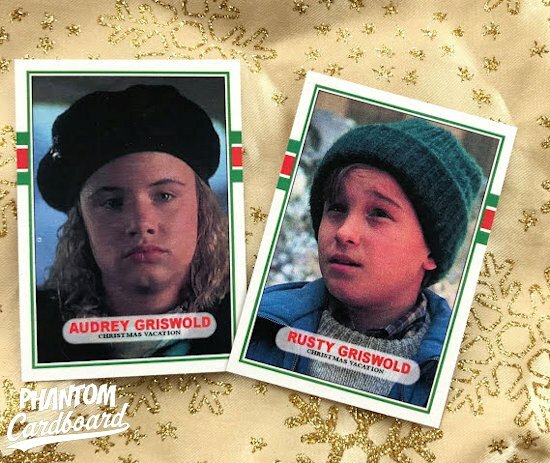 So many classic scenes and lines that have been part of every Christmas since 1989. Chevy Chase is brilliant in this installment of National Lampoon's Vacation. "Sparky" Griswold, the put-upon family man that despite genuine best intentions everything just ends up backfiring in his face. All too relateable to yours truly. These cards are inspired by the 1989 Topps football cards. It really was a toss up between the year's football and baseball release, both of which I had templates ready to go. The football won out because it's clean and a bit easier for me to work with; which was a factor seeing as I set out to make a mini-set. 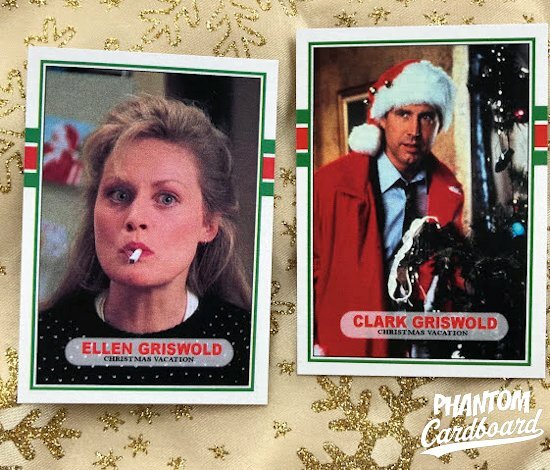 These cards might not be quite as awesome as a one year membership to the Jelly of the Month Club, but I would place them a close second. The set could have been larger had I come across quality images of a few more of the "jolliest bunch of assholes this side of the nuthouse", but I did get all the characters that I considered 'must haves'. 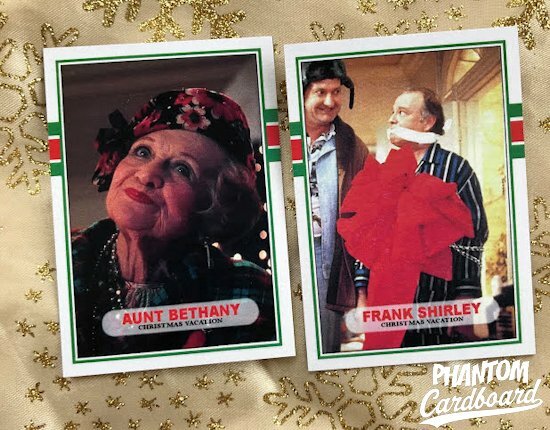 Brilliant choices for designs and photos - except for the Beverly D'Angelo card. Such a beautiful dame. I'd go for a glamour shot, that's all. I hear ya. Sometimes finding good images of some of this older stuff can be a task in of itself. I feel I may have made up for it with the Vacation mini-set. 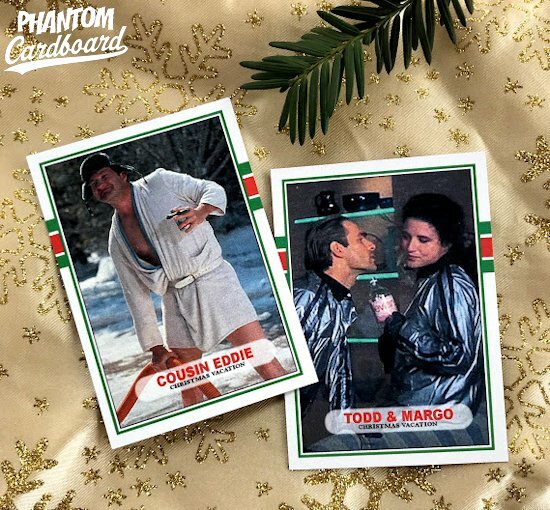 Your Vacation and Caddyshack sets are better than most official issues as far as photo choice and card design is concerned. It makes me sad that Lampoon genius Doug Kenney hated the gopher in Caddyshck, as I always enjoyed the silly thing. Glad it got a card from you!